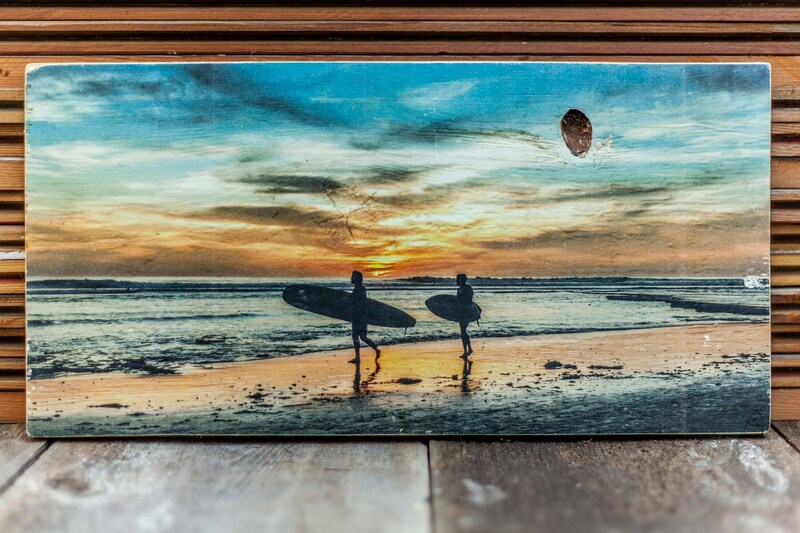 Sunset surf at Swami’s in Encinitas. Its handmade process gives one of a kind result that makes each piece unique. The size is 16 x 7". Wall hanger included.